Conjunctions: 71, A Cabinet of Curiosity is available for preorder through the Bard College here. Shipping will begin by the end of November, 2018. Our interview with Matt can be read in Issue 18 of Superstition Review. Hayden’s Ferry Review is hosting their first “Southwest Editor’s Forum” on Saturday, February 10, located at the Piper Writer’s House at ASU’s Tempe campus. 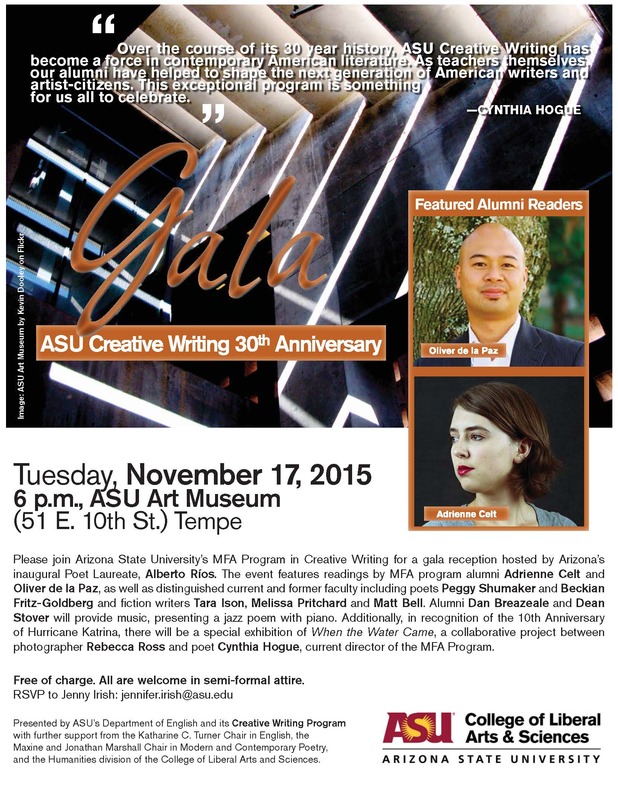 Presenters include Matt Bell, a founding editor at The Collagist; Rosemarie Dombrowski the inaugural Poet Laureate of Phoenix; as well as Sally Ball, the associate director at Four Way Books. The Northern Arizona Book Festival will be celebrating its 21st year at Flagstaff, Arizona on October 10-16, 2016. This weeklong literary extravaganza will be filled with readings, workshops, and book signings. This year, they will feature over fifty writers, such as Diana Gabaldon, Nicole Walker, William Trowbridge, Miles Waggener, Doug Peacock, Matt Bell, William Pitt Root, and Pamela Uschuk. The events will take place at Uptown Pubhouse, Firecreek, The Orpheum, and numerous other bars, restaurants, book stores, and locally owned businesses throughout the Flagstaff historic downtown. For more information please visit the Northern Arizona Book Festival and the Facebook event. Tara Ison presents Ball: Stories and Matt Bell presents Scrapper at Tempe Changing Hands Bookstore.